Planning to build a new in 2019? Your Project Loan can help! Pools are a great addition to just about any home. They offer amazing benefits from easy access to exercise to improved mental health. But they are also a large investment. When you design your in-ground pool, you want to be sure that you’ll love it for a long time. If you’re planning to install an in-ground pool this year, or possibly looking to renovate your existing pool, here are some trends we expect to see that could inspire you. Pool depth trends are making a splash this year in two contradictory ways. The first is going to be the popularity of single depth in-ground pools. 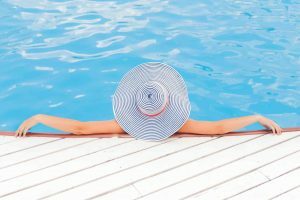 While most residential in-ground pools usually vary in depth from a shallow end to a deep end, single-depth pools are gaining favor. 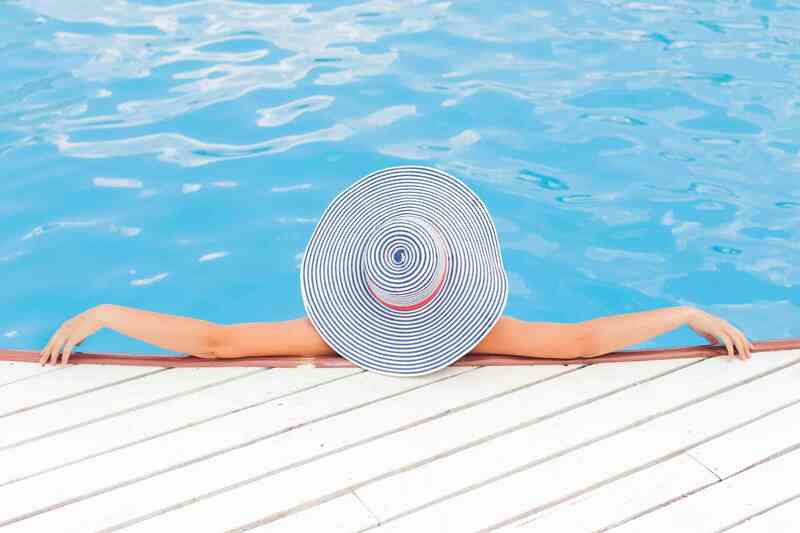 These pools are often lap pools, and their exercise and health benefits are a big part of their popularity. Swimming isn’t the only thing people want a pool for, however. There’s also leisure, and that’s what sun shelves are all about. A sun shelf is essentially a very shallow, very wide pool ledge designed for lounging and enjoying those hot Maryland summers. The depth is usually no more than a foot, but there does have to be some water covering the area. Ideally, the ledge should be wide enough for a few lounge chairs, but at the least, it has to be wide enough for you to lay back. Some sun shelves actually have built-in lounging areas. Has the pool-side bar ever been unpopular? Not really, but the swim-up bars that are trending this year are a far cry from that fake Tiki bar at your uncle’s retirement party. Think of it more as your outdoor kitchen lowered into part of your pool. The “countertop” is actually the pool ledge and the bar space is a shallow section of the pool. This beach-side hotel feature will make your next party a hit if you add it to your backyard oasis. The gold-standard of pool surface colors has long been white or pale blue, but that is changing in a big way. Instead of painting the plaster with light colors, the trend is toward the dark, especially really deep blues. The dark colors will hold more heat, possibly warming your pool during chillier times, and they also give the water a really cool ocean vibe. This entry was posted on Friday, March 15th, 2019	at 10:42 am	. You can follow any responses to this entry through the RSS 2.0	feed. Both comments and pings are currently closed.